Wessex Trainee Tom Jackson has brought this 1 year fellowship opportunity to our attention. Please follow this link for the full job advert. This looks like an excellent opportunity for someone to acquire further training in CMR, with a view to gaining level 3 accreditation and developing a research interest. Please note the closing date for applications is 05/12/2014. Please remember the upcoming training day next Monday. 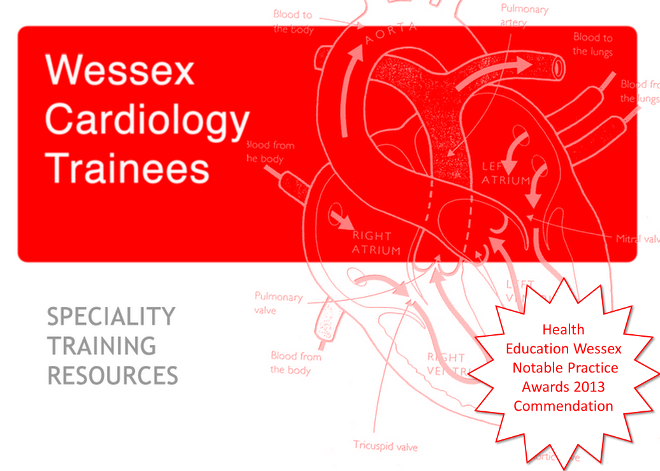 The day starts at 9.15, taking place in the Heartbeat Education Centre, Southampton General Hospital. Please click this link to send me an e-mail to confirm. Alternatively, why not tweet @WessexCardio and use #consultantjob? Please find below the programme for the EP day held at Southampton on the 17th November. This once again looks like a great event, with a combination of case presentations, live cases and talks from EPs from across the region. As always, please let me know if there are specific blocks to attendance.